Swami Brahmananda Saraswati (1871-1953) is a very renowned and respected figure in contemporary Indian spirituality. He was held by Dr. Savepalli Radhakrishnan (1888-1975) as ‘Vedanta Incarnate’. 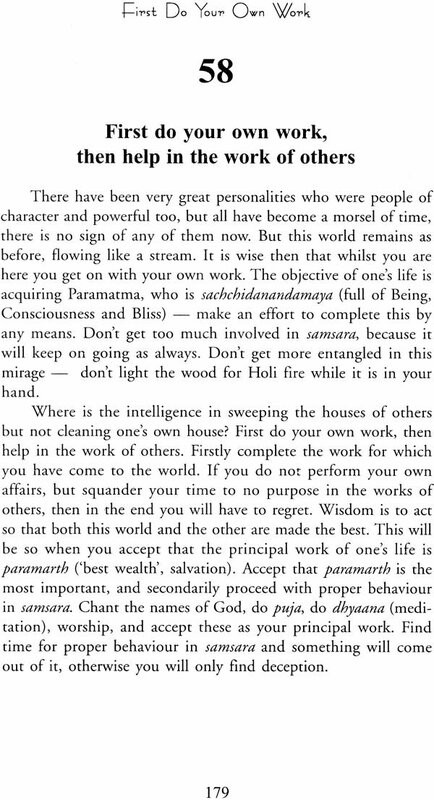 Swamiji took sannyasa at the age of 33. For many long years he lived mainly in forests, dwelling in caves. On the order of his guru, he later became a little more accessible, and became well known for his spiritual radiance and knowledge. In 1936 he set up an ashram in Varanasi. The Seat of Shankaracharya at Jyotirmath had been vacant for 165 years. When efforts were made to restore this most important peeth, Swami Brahmanand Saraswati was accepted by all as the ideal person to fill the post. 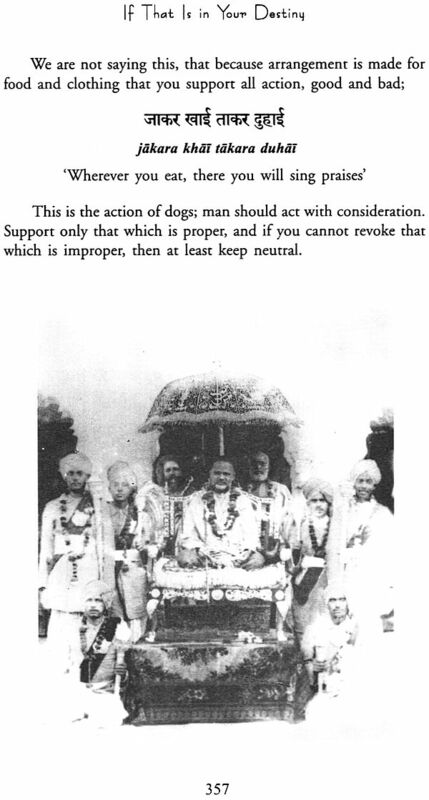 After much persuasion he eventually allowed himself to be anointed Shankaracharya of Jyotir Math of Ist April 1941. Shankaracharya Swami Brahmananda Saraswati was highly respected for his knowledge and realization. Swami ji travelled widely across India sharing his wisdom and reviving the religious and spiritual traditions wherever he visited. 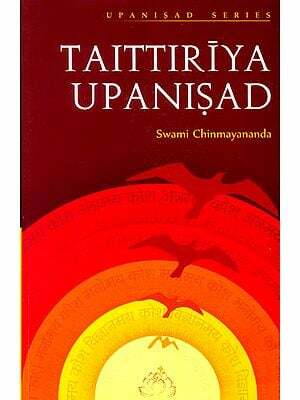 We are fortunate in that many of Swami Brahmananda’s ‘upadesha’ (discourses or sermons) were transcribed, and published in the ashram newsletter of ‘Shri Shankaracharya Updesa’. Now these most important words of Shankaracharya Swami Brahmanand Saraswati are being made available in this special edition, both in their original Hindu and in English, with translation done by Paul Mason. 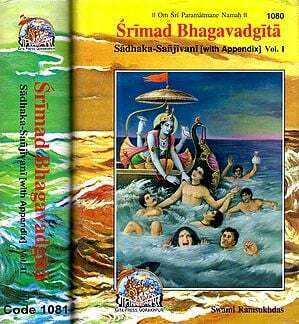 108 Discourses of Swami Brahmananda is so much more than a book of quotations, it is the exploration of the very meaning and purpose of human life. 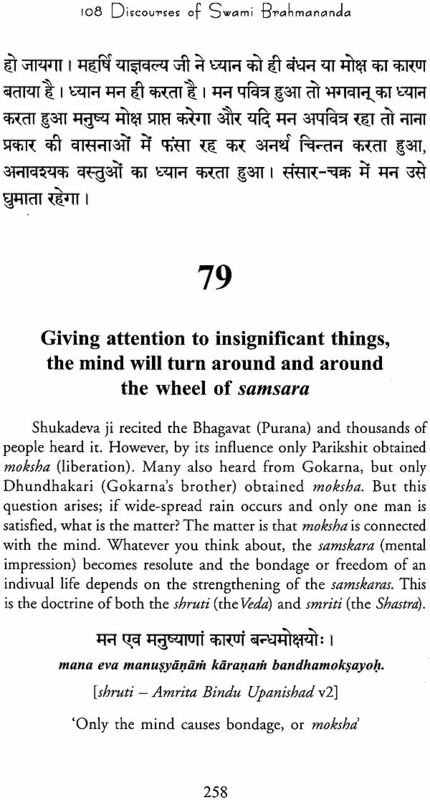 It is essential reading for anyone interested in Indian philosophy and spiritual practices. On Thursday, 21 December 1871 (Vikram Samvat 1928, Margashirsha shukla dasami) in the village of Gana close to Ayodhya, Rajaram Mishra was born. After leaving home at the age of nine years old, he roamed in the Himalayan hills and eventually found his guru, Shri 108 Shri Dandi Swami Ji Krishanand Saraswati of Uttarkashi. In 1904, at the age of thirty-three years old, at Triveni Ghat, Allahabad, his guru initiated him as a sannyasi and gave him the name of Swami Brahmanand Saraswati. Swami Brahmanand was a 'bal brahmachari (lifelong celibate) who led a solitary life, living mainly in forests and jungles, taking shelter in natural caves. For food and drink he would take what nature offered, and supplemented his fare with the gifts brought to him by well-wishers who would seek him out. In a chance meeting at the Kumbha Mela in Allahabad in 1930, his guru, Swami Krishnanand Saraswati, told Swami Brahmanand: "You have stayed a long time in the jungles and mountains. Stay near the towns now, so that some of the people can benefit." So it was that Swami Brahmanand Saraswati became a little more accessible, and he became well known for his spiritual radiance and knowledge. In fact, so high was his spiritual reputation that he was nominated to take the most prestigious and powerful position in Indian society, that of Shankaracharya, becoming Shankaracharya of Jyotir Math on 1st April 1941. 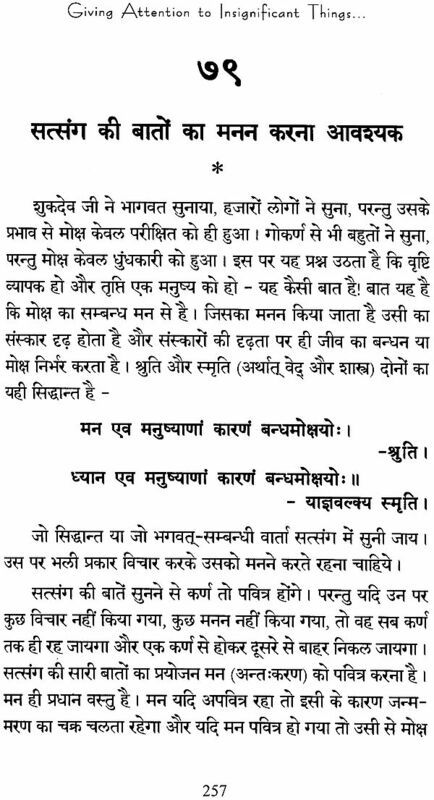 Shankaracharya Swami Brahmanand Saraswati was highly respected for his knowledge and realisation. His ashram in Varanasi now became the official seat of the Shankaracharya of Jyotir Math, from where he organised the restoration of the peeth in Joshimath. Swami ji also travelled widely across India sharing his wisdom and reviving the religious and spiritual traditions wherever he visited. Under his direction mahayagnas were performed. Swami Brahmanandji attracted darshan seekers from far and wide, and many sought him out to be their guru. His teachings were clearly stated, being the teachings of Adi Shankaracharya, newly told with quotations from the Scriptures. The first President of India, Dr Rajendra Prasad visited him, as did Dr Sarvepalli Radhakrishnan (the first Vice-President of India & Second President) who referred to Swamiji as 'Vedanta incarnate'. The guru was by now in his eighties and because of concerns about his health he stopped touring and stayed at his ashram in Varanasi. However, after some months, a decision was made to travel to Calcutta for a speaking engagement, and whilst staying there it was necessary for doctors to attend the guru. Swami Brahmanand Saraswati breathed his last in Calcutta, on Wednesday 20th May 1953 (vaisakh shukla saptami 2009) and was returned to Varanasi for funeral rites and from Kedar Ghat was ferried to the centre of the river for final immersion in Mother Ganga. Shankaracharya Swami Brahmanandji's disciples were many, and amongst his disciples were the famous Swami Karpatri and his protege Swami Swaroopanand. Nowadays, images of Swami Brahmanand can be seen displayed around the world and across the internet. Swami Brahmanand was also the' Guru Dev' of Maharishi Mahesh Yogi, who propounded the system of Transcendental Meditation worldwide. 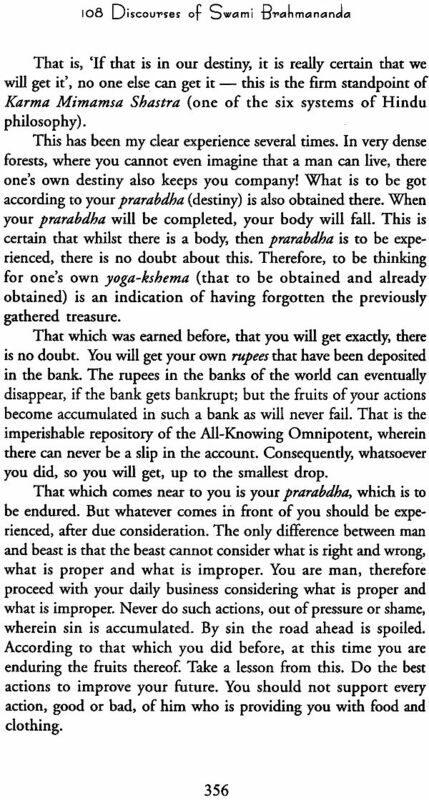 We are fortunate in that many of Swami Brahmananda's 'upadesha' (discourses or sermons) were transcribed, and published in the ashram newsletter of 'Shri Shankaracharya Upadesha'. The teachings were in Hindi, but since the Shankaracharya is a 'Jagad- guru' or 'World Guru' it is appropriate to make these teachings available in non-Indian languages. The task of translation is not an easy one, but I have endeavoured to be faithful to the words that were actually said by this revered teacher. 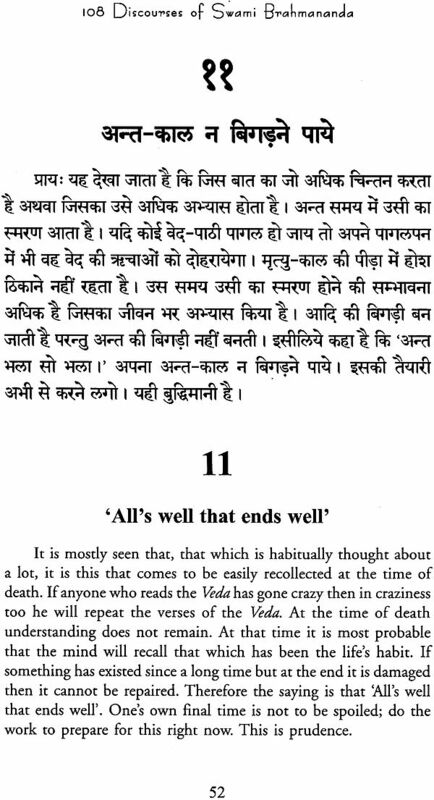 When I first chanced on these quotations of Swami Brahmananda ji, I decided there and then to learn Hindi well enough to translate these spiritual talks into English. Eventually I felt the confidence to start the process, and found such a wealth of guidance in Swami ji's teachings. It was clear he was an expert, for he not only understood the ways of the spirit he could teach them too, and very clearly. I studied each and every line word by word until the meaning became clear. An English translation of the Hindi text of his teachings and biography was self-published by Premanand as a three-volume set, as 'The Life and Teachings of Swami Brahmananda Saraswati, Shankaracharya of Jyotirmath (1941-1953)'. Now these most important quotations of Shankaracharya Swami Brahmanand Saraswati are being made available in this fresh Indian edition through the efforts of Indica Books. All thanks to the excellent help of editor Alvaro Enterria, who has helped polish up my efforts and has assisted in making the translation smoother and easier to understand. 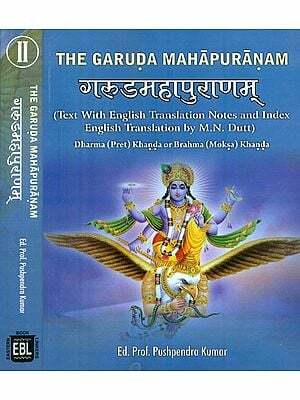 This volume contains both the original Hindi versions and the English translations, along with a glossary of terms. 108 Discourses of Swami Brahmanand is so much more than a book of quotations, it is the exploration of the very meaning and purpose of human life. When in 1970 I travelled to the ashram of Maharishi Mahesh Yogi, across the river from the pilgrimage town of Rishikesh in Northern India, I was taught a system of meditation known as transcendental meditation. The teaching of transcendental meditation (TM) is preceded by a short ceremony, a puja, before a reproduction of a painting of Maharishi's master, 'Guru Dev', Swami Brahmananda Saraswati, Shankaracharya of Jyotirmath from 1941-53. Despite crediting Guru Dev as being the inspiration behind the practice of TM, in the years of his mission to spread this teaching of meditation, curiously Maharishi seldom if ever quoted Guru Dev. When I returned to India, in 1979, I made a pilgrimage to the monastery of Jyotirmath, high in the Himalayas, and was rewarded in obtaining two publications on the life and teachings of Guru Dev, in Hindi. 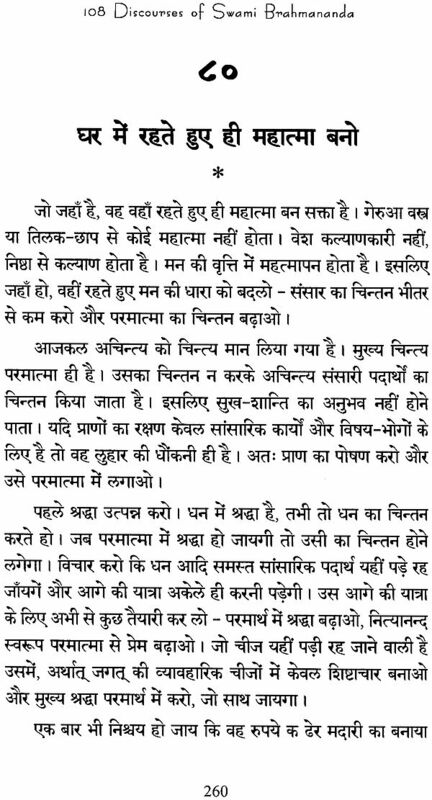 There and then I made up my mind to learn Hindi in order to learn about his life and teaching. 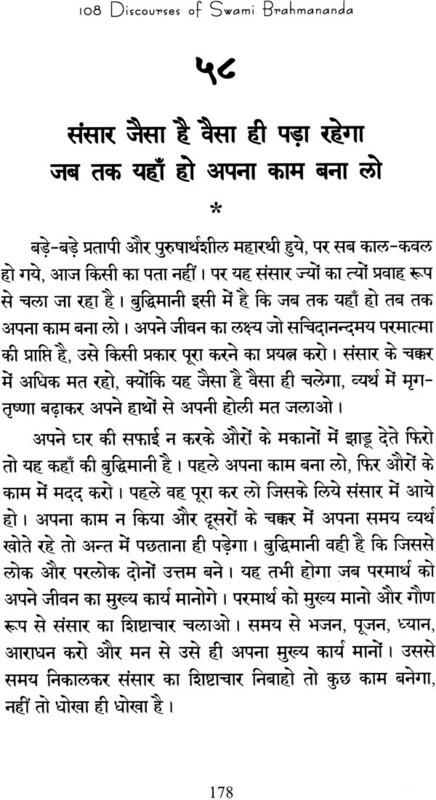 One of the books was a collection of 108 'upadesha' or sermons of Guru Dev. 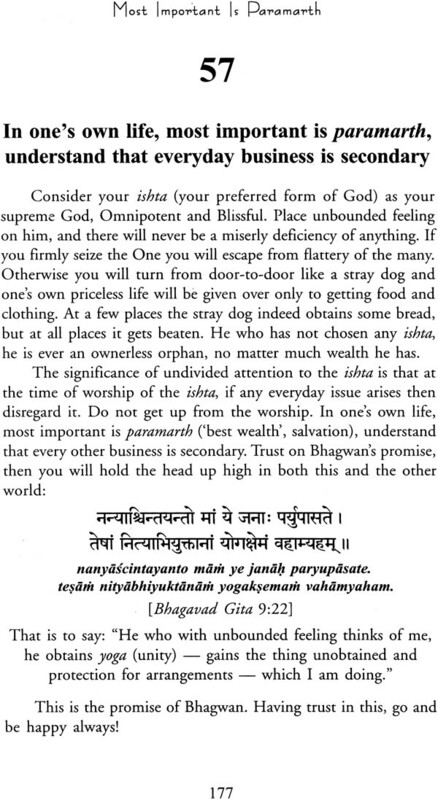 It appears that these originally appeared in the ashram newsletter 'Shri Shankaracharya Upadesha' between 1949-1953 and were later reproduced as a paperback, by Rameshwar Tiwari. My progress in Hindi was slow but eventually I made translations of both these books on Guru Dev. 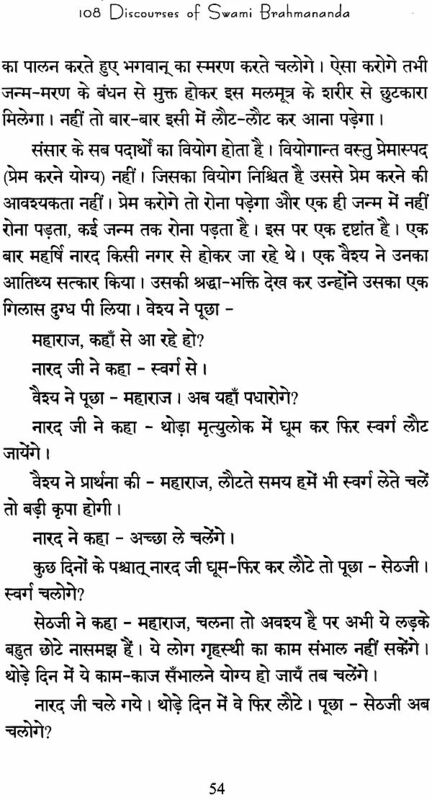 I also translated a third book, which 1 had discovered on a return visit to jyotir-math. I uploaded my rough translations onto my website (www.paulmason.info) as 1 worked. But reading these quotations on a computer screen is far less pleasant than having them in a printed form, so 1 am happy to be able to present my translations in book form and make them available through the website. 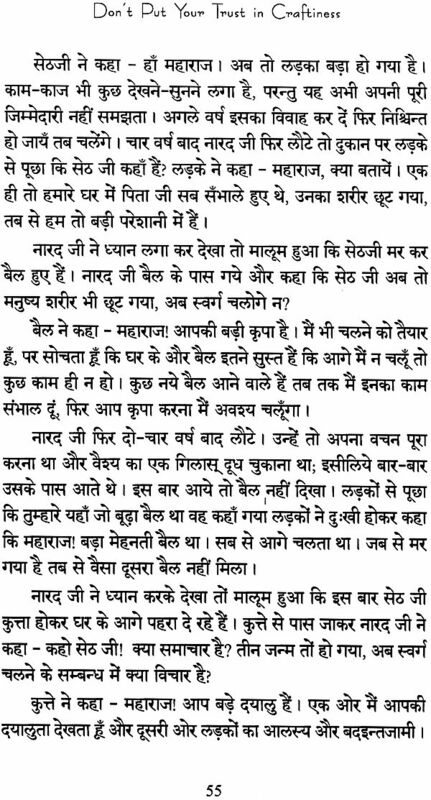 So, here is the first volume of a series on Guru Dev, in which 1 have included Guru Dev's speeches in their original Hindi form. Titles have been revised to only include the words of Guru Dev. 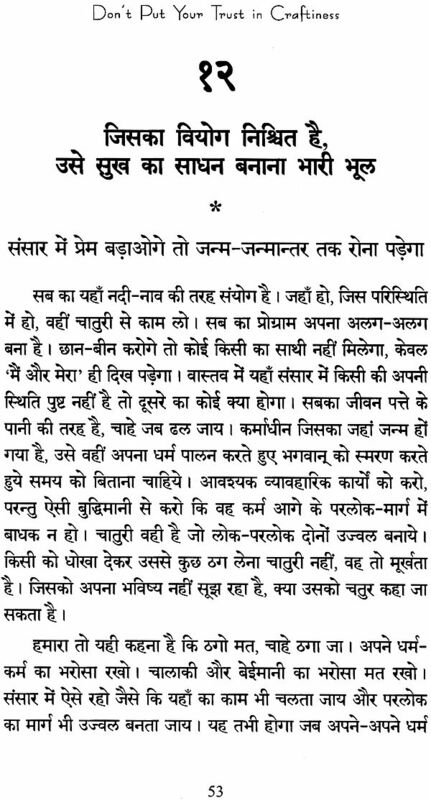 To render the Hindi (and the Sanskrit quotes with which he peppered his talks) 1 had first to re-type the text into ITRANS and convert this to a Devanagari font, which was achieved by using a computer program called 1 translator99. I am indebted to Omkarananda Ashram for developing and making this software freely available, and to Swami Satchidanand for working through some technical problems with me. The whole process of translation was made so much easier with the help of Richard Mason, who is a whizz with computers and who suggested 1 start to create a database of Hindi words which would then be connected to MS Access with a little program he created called Handi Hindi Gizmo Innit. Thanks Richard, I don't know what 1 would have done without it. Thanks go to Marek Reavis who helped by giving useful feedback and assisting in photo research. To Ajay Shankar for his support and assistance in obtaining images of Guru Dev (hand- tinted colour prints and hi-res black and white prints of many photos of Guru Dev can be had from Ajay at Delhi Photo Company). Thanks also go to L. B. Shrivers for sending me a photocopy of the text when my copy disappeared, and to Dr. Cynthia Humes (I look forward to seeing the publication of her translation of these teachings).